Readying herself for her first full release after a long break from the industry, Aysha Loren has released funky reggae track ‘Keep It Like It Is’ as a teaser for upcoming EP ‘Back To You’. The single, a rhythmic blend of pop and reggae with a slice of funk for good measure, does a great job of ramping up the excitement for the EP, showcasing Aysha’s strong vocal with effective, relatable lyrics about choosing to stay ‘just friends’ with someone rather than risk it all by starting a relationship. An experienced artist, Aysha Loren’s family has a successful background in the music industry which led her to a support slot for huge US group Destiny’s Child on their UK tour in her early days. 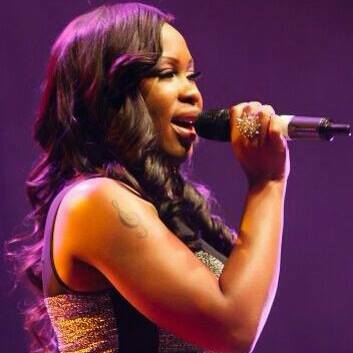 More recently, Aysha has shared the stage with the talented likes of John Holt, Frankie Paul, Janet Kay and Luciano. Having taken a long break in between to start a family, she fell in love with the stage again after performing at a Whitney Houston tribute concert, the start of a journey which will culminate in the EP release on July 7th. This experience led her to writing and performing again, re-building her reputation over the last couple of years which have seen Aysha reach the finals of the National UK Open Mic Competition as well as being named as Vibes FM Record of the Week for three weeks running.